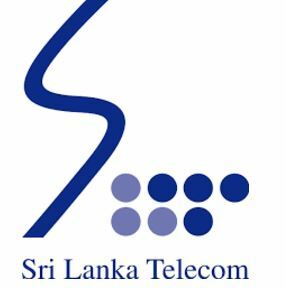 Contact Sri Lanka Telecom: Find below customer service details of Sri Lanka Telecom (SLT), including phone and email. Besides contact details, the page also offers a brief overview of the company. Reach the customer service below for queries, complaints or feedback. Sri Lanka Telecom is a telecommunications company in Sri Lanka. Locally known as Shri Lanka Telikom, it first began operations in 1991 and today is one of the largest companies in the country. Headquartered in Colombo, Sri Lanka Telecom’s products include fixedline, mobile telephone, Internet, and IPTV. SLT’s subsidiaries consist of Mobitel, Sky Network, SLT VisionCom, among others. The company is a joint venture between Govt of Sri Lanka and Global Telecommunications Holdings N.V. of Netherlands. The SLT fibre connections come in three packages and it allows customers to pick from between voice, broadband and PEO TV. The packages come with WiFi enabled router and cordless telephone. The wireline telephone connections (Megaline) are available in different packages as well. For ultra-fast broadband connectivity customers can opt for 4G/LTE connections. Application for new connections are available on the website. For lowest rates and monthly rentals, there is Citylink postpaid and prepaid packages. Sri Lanka Telecom has a number of Internet plans for customers to choose from. There are speeds up to as much as 100 Mbps. Subscribers can manage their plans online, view bills and make payment. There are fibre, 4G/LTE connections, as well as SLT Wi-Fi hotspots for Internet. For entertainment, SLT offers the PEO TV which allows subscribers to play and pause live TV and access to Video on Demand content. SLT subscribers are enrolled for the SLT Prestige Card that offers priority customer care services, special offers, among other benefits. There is an e-shop for those looking for purchase modems, routers or cordless telephones. For more information or queries on payment, bills, technical support, cancellation, or others, reach the Sri Lanka Telecom customer service. My home telephone instrument is faulty as I cannot hear the callers voice but the caller could hear mine. What is the solution? I am thus unable to have a conversation with an outsider.